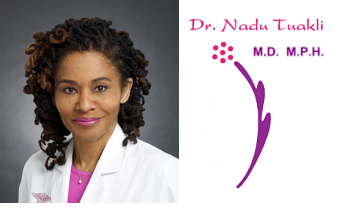 ﻿ Anti-Aging & Longevity Institute - Dr. Nadu Tuakli, M.D. M.P.H. There are innumerable benefits to be obtained from losing weight including: Increased longevity, less knee pain, prevention of Diabetes and Hypertension, less back and knee pain, increased mobility, lower cholesterol, decreased risk of heart disease, look physically better, and more. AALI approaches weight management as a critical component of the patient’s overall health. Weight gain can be related to Iodine Insufficiency and other Thyroid problems, Insulin Resistance, Metabolic Syndrome and Adrenal Dysfunction among other things. We do Lab testing which includes basic health panels to look for these problems as well as specific vitamin and metabolic testing. We can also do testing for various vitamins, minerals and supplements. Sometimes it is also necessary to test for iodine deficiency and saliva testing to check for adrenal gland dysfunction. This workup is recommended even for people who plan to get surgery. Our ‘Easy cleanse’ system (which can be purchased separately) helps to remove toxins that can slow down the metabolism. With all the results from the lab tests a customized weight control program is designed. HCG stands for Human Chorionic Gonadotropin. The diet was originally designed by Dr. Simeon in Italy after decades of research. Since his original studies, hundreds of thousands of people have improved their health by losing significant amounts of weight. This is a Bio-Identical hormone that women make when they are pregnant. In fact when someone takes a pregnancy test this is the hormone that is being tested for. HCG guides the body in distributing fat along with the other functions it has in pregnancy. The HCG diet involves administration of the hormone with physician supervision and a low calorie diet. The HCG diet is very helpful in getting rid of abnormal fat deposits such as those around the midline, thighs and the neck. This program as with all our programs is customized to the individual but in general it lasts 6 weeks with a 3 week maintenance phase afterwards. It doesn’t require the ingestion of any addicting or foreign substances. 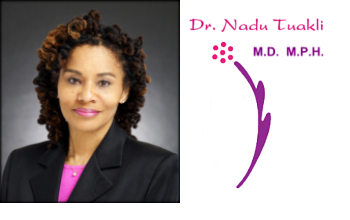 Dr. Tuakli talks about weight loss using the HCG Diet. This is an edited version of a longer video. 2 of Dr. Tuakli's patient's give testimonials about their experiences with the HCG Diet program.